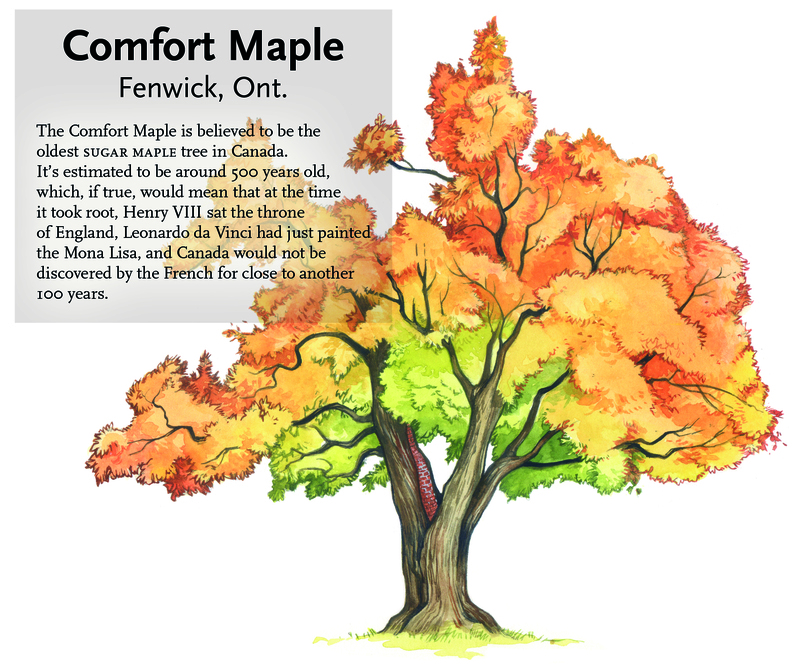 In the December issue of Canadian Geographic, writer Hans Tammemagi visits and describes seven iconic trees from different regions of Canada. 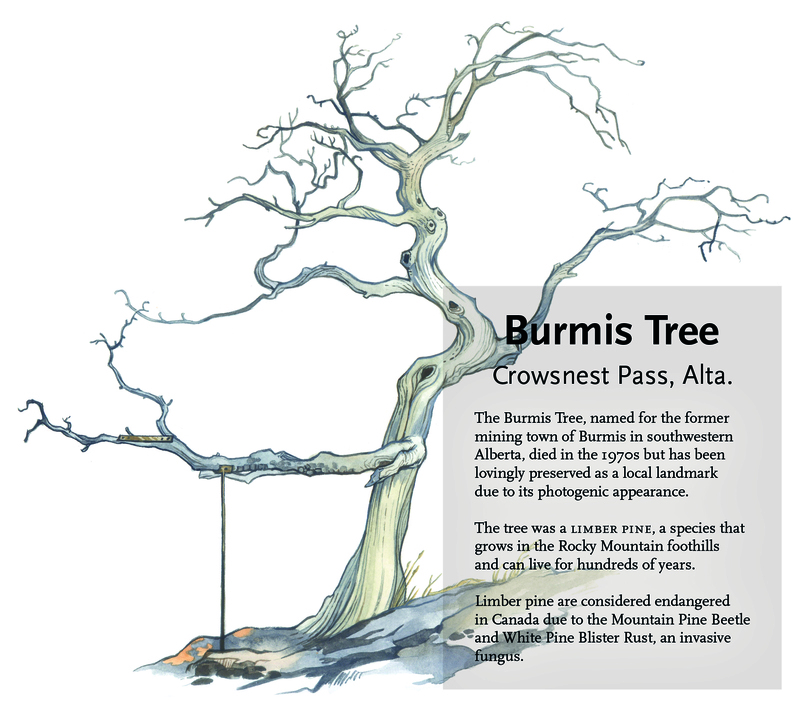 Some are notable for their age or size, some for the unique ways they have evolved to survive in Canada's most extreme environments. 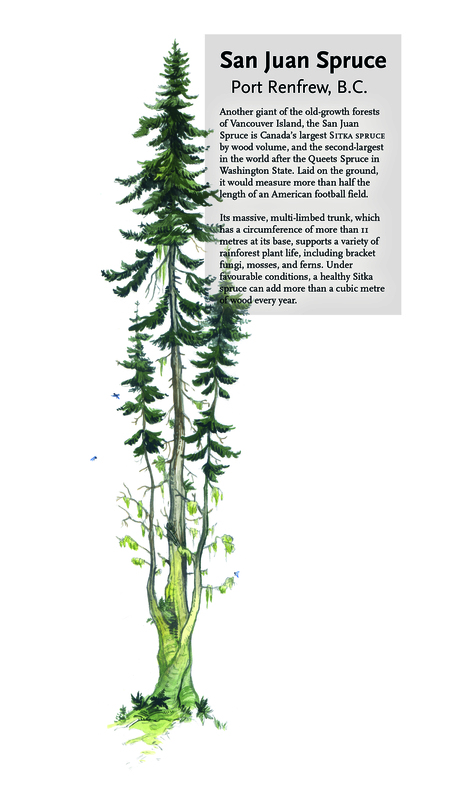 One isn't even living anymore. 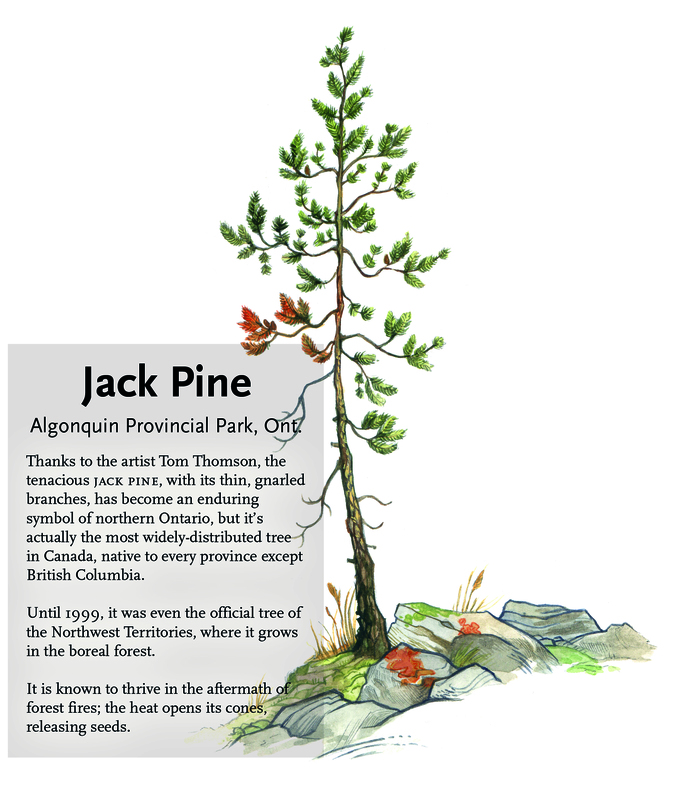 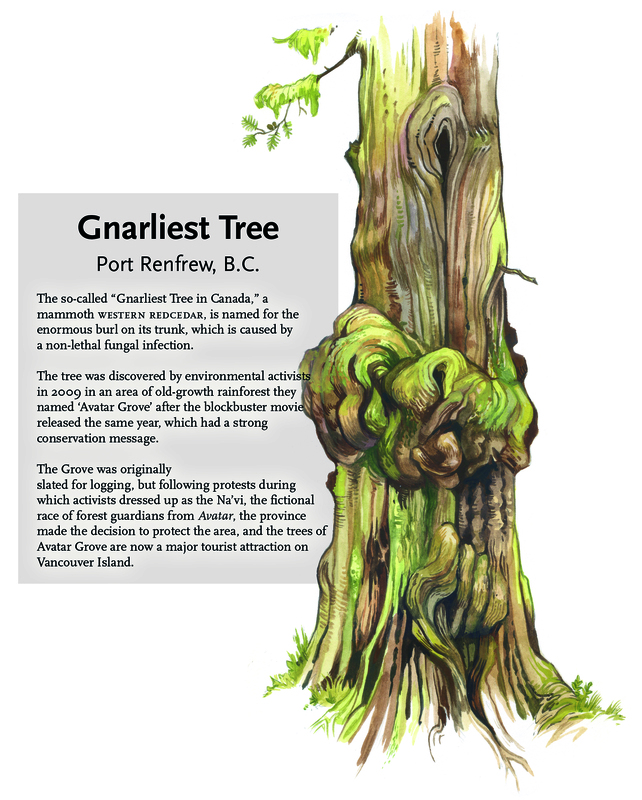 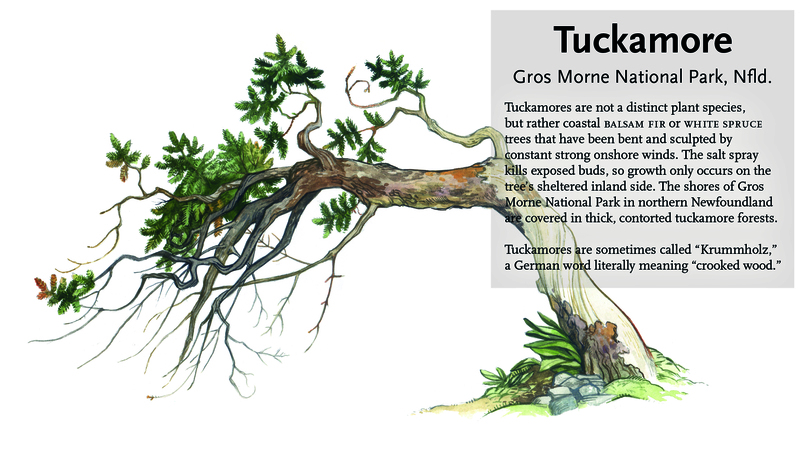 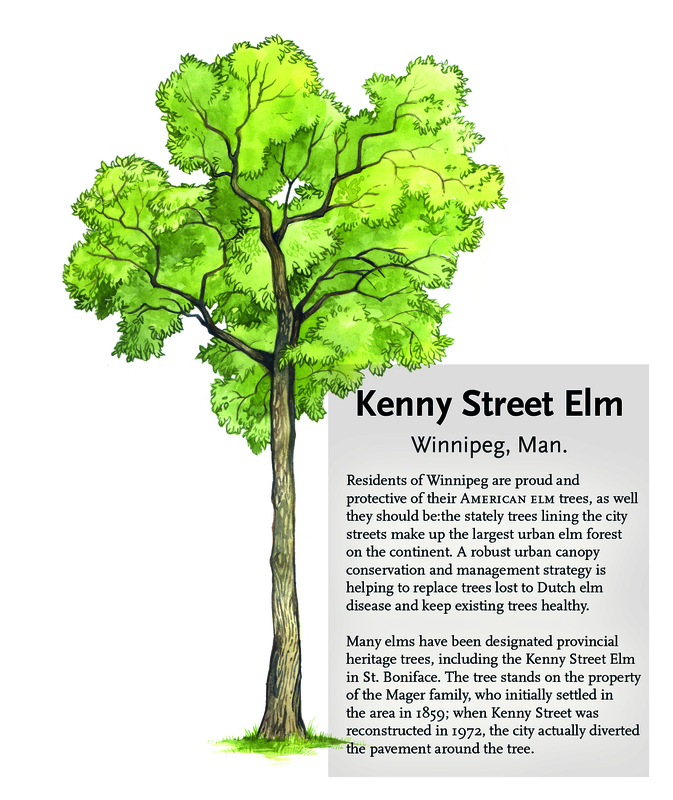 Here are some interesting facts about these trees, alongside beautiful illustrations by Mary Sanche.